One block away from public transportation. Piano music Wednesday thru Saturday nights. Private dining room for up to 20 people. Conveniently located on busy Route 3 in Secaucus NJ, just minutes from the Meadowlands Complex, Giants Stadium, and New York City. 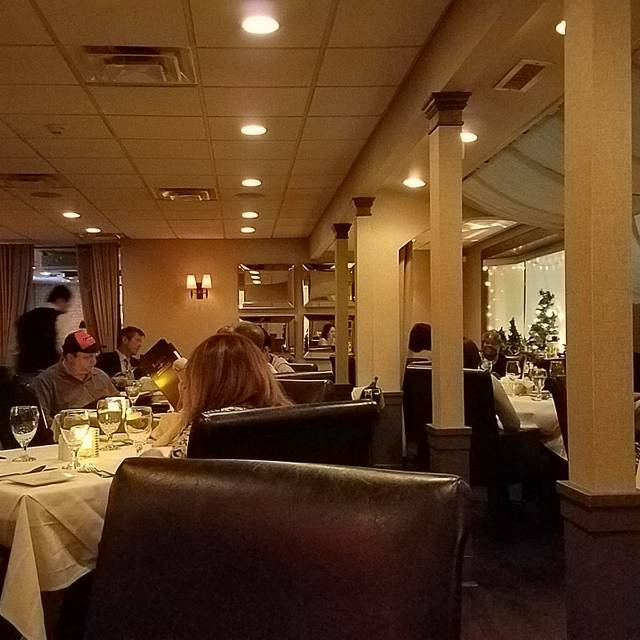 Bareli’s is the area’s finest Italian/Continental restaurant since 1986. An award winning wine list complements a menu prepared from highest quality ingredients. 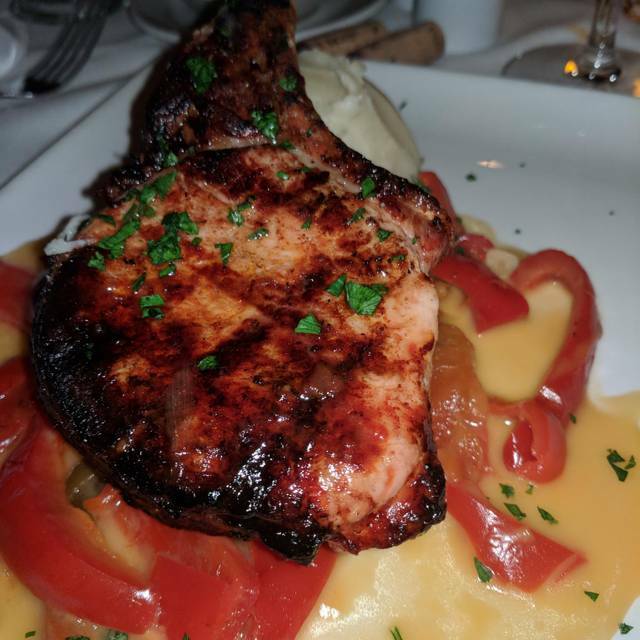 Let our award winning chef prepare your favorite dish to your specifications. Food fit for royalty with great service and a comfortable atmosphere. Don't see what you're craving, ask your server. Special requests are our specialty! I love this restaurant. I have dined there about six times over the past few years when I visit the area on business. I always take clients and they enjoy it as well. It's NJ, but feels a bit like old New York. At any time, I expect the ghost of Frank Sinatra to walk in. Contemporary, with a touch of nostaglia. Very nice restaurant, good service affordable and great food. The food was amazing. I had the scallops and they were probably the best I have ever had. Very nice place. Very warm atmosphere. The food was delicious and were of a good sized portion too. The service was excellent as well !!! My soft shelled crabs fish was fantastic!!! It’s been a number of years since I last enjoyed Bareli’s wonderful food and atmosphere. I had friends up here from the Caribbean and promised them a great Italian meal. Bareli’s did not disappoint. Great food and great service. I personally need to go back more frequently.. The bolognese was superb, the wine list reasonable and the service excellent. The zabaione with berries is also a great spectacle. Drove by this a million times. So glad we decided to give it a try. The live music was amazing. We had a great night. 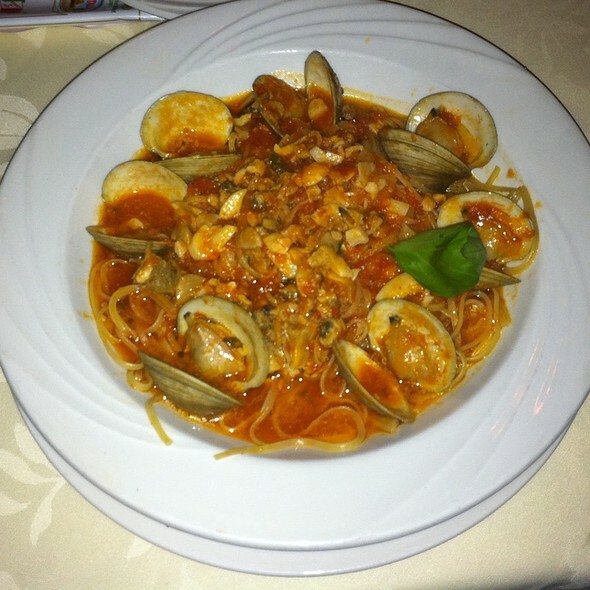 Old world, authentic Italian cooking in a relaxed but elegant setting. Service was very professional, food was excellent and restaurant had a great buzz inside. Food was excellent as was the service. We had a reservation at 7:45pm and did not seat until 9pm. The waiter forgot 1 of our appetizers and our coffee at the end of the meal. Overall food was great but service was not. Always a great experience.. Nice music, great service, and great food ..
Amazing. It was my marriage anniversary and Mary was my server. She was great and attentive, everything was quick and delicious. Dessert was the best part with the special treat it came with. I had the pleasure of dining at Bareli's, for what was supposed to be lunch, but turned into an early dinner. I met Tommy and Liam as my hosts and they were terrific and most hospitable. 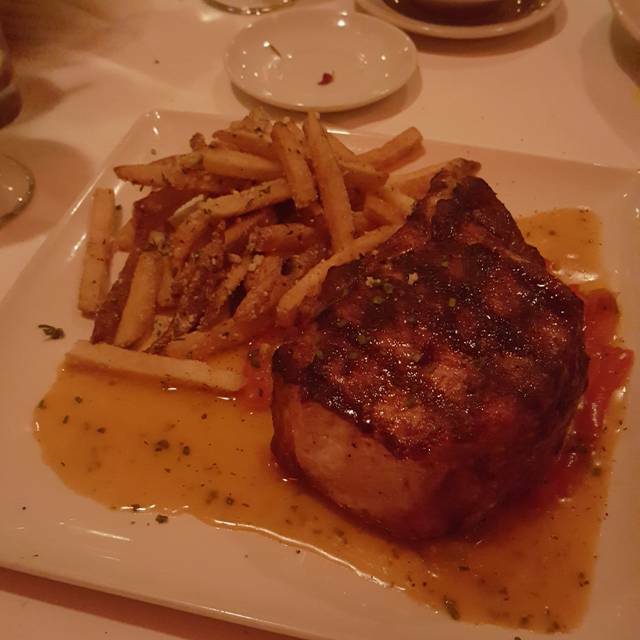 The pork chop was better than any I've every had and the oysters were excellent! 5 star experience. Excellent good, service and atmosphere! Bareli’s is constant in providing a magnificent dining experience. Great meal. We sat at the bar and enjoyed the live entertainment. We had the lamb and it was cooked perfect. Outstanding food, atmosphere and PEOPLE! The service here is 5 star all the way! You can see how the wait staff -all of them- seamlessly team up to ensure full and prompt attention to every single guest. Friendly, knowledgeable and delightful to interact with! Love this place. Excellent spot to grab a lite bite at the bar or a nice sit down with that special someone. We love Barelis. Always great food and service. Love EVERYTHING about this place. The staff is great, the food is to die for and just lovely overall. Highly satisfied. Great place for a date night as well as a friends or family night. Absolutely wonderful. Everything was great, minus our server. My date and I ordered a bottle of wine, appetizer, 2 entrees, and desserts (all delicious). One might think this would warrant pretty good service; however, our server paid no attention to us once we got our entrees. He was more interested in the table of 6 next to us and we ended up with an empty table and empty glasses for a good 20 min. before he checked up on us. I’m not one to complain, especially in busy restaurants but this really compromised our experience. Bareli's is now mine and my girlfriends new favorite restaurant. 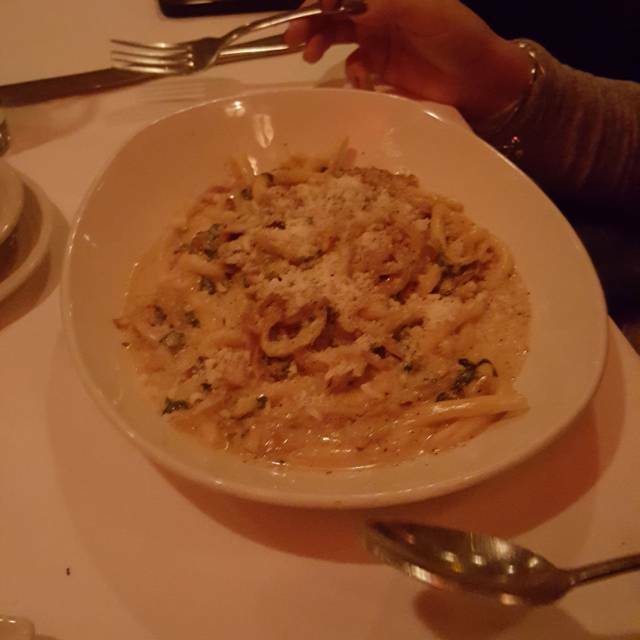 The food is exquisite and will leave you wanting more. I recommend the spicy black spaghetti with lobster and their veal francese. The atmosphere is perfect for a special night out and the service matched that. The food was so fresh tasting and the pasta is even made on site! The only downside was that they had a band the night I went so it was a little loud, but wasn't unbearable. I give this restaurant a 5/5 and will definitely be back! There were too many extra tables in the dining room. The added tables were not leveled off before dinner service. Sever needed to adjust the table so it wouldn’t wobble. Due to the extra tables the noise volume was very loud and it was hard to hear across the table. Valentine’s Day menu. Overall superb experience. Will definitely recommend and go back. Go here for the ambiance and that "special" treatment but not for value. Meals are over priced and were honestly not very tasty or exceptional. Got a very nice and quiet table on Valentine's Day. Service was attentive and friendly. Ordered drinks and appetizer. Wanted to hold off on ordering dinner so as not to be rushed but waiter said he would take it and not put the order in. I reluctantly agreed. A short time after finishing the apps I gave the nod to the waiter to put the dinner order in and 15 seconds later our dinner showed up. Either the kitchen screwed up or the waiter never gave the instructions to the kitchen. Was disappointing. Our waiter was apologetic and did unexpectedly comp us dessert. Overall a decent experience. Small,but good bar. Good, varied menu. Great food. Hi end service. Wow excellent meal and service!! This place was a great surprise..we had the crab ravioli as an app was outstanding as was the lamb meatballs app. The thing to try is their pork chop. I know I know how interesting but, this is one of the best I have had!! Brined in some sort of vinegar marinade was amazing!! I picked Bareli's to celebrate my birthday because they have Dover Sole and it was delicious as expected. My husband said his veal dish was the best he ever had. You sit in comfortable club chairs in a relaxed atmosphere. Wonderful restaurant. We enjoyed a great evening at Bareli. The food (clams casino, shrimp fra diavolo, and tiramisu) was wonderfully prepared and the service was truly exceptional. The staff was very attentive and the timing of the courses was perfect. Barelis is always consistent. The food and service is great. Liam and the gang do a great job making things special. Great dining experience ❤️ Food was delicious. There was also live music. Great place near our home for a spontaneous meal that never disappoints. Great service and ambiance. We really like the music here. The retro songs always bring us back. Food is very good. I'd like a bigger variety of wines by the glass. Beer selection could be more interesting, too. Mary our server was an absolute delight. Garganelli special was one of the best pasta dishes we've ever had. One of our local favorites.